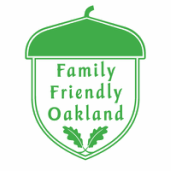 ​A family friendly Oakland is an everyone friendly Oakland. 1. Engaging parents, youth, and family-friendly advocates. Family-friendly cities are intentionally created when they are included in the visioning and design process. 2. Encouraging the development of more family-sized housing. We need a lot more three bedrooms, and housing for all ages, all incomes, and a range of household sizes. 3. Infusing family-friendly and flexible design principles into planning. Let’s create more playful public spaces and new housing that takes into account family friendly and flexible design guidelines. 4. Making sure our city is safe for our children. Let's make sure our parks, streets, sidewalks, and transit systems are safe for everyone, all day and all night long. Join our campaign for a family friendly Oakland. Have a look at some of the data and information we’ve been collecting! Learn from others working to include families in cities.